A credit card-sized device is to be handed to people with dementia to help prevent them becoming one of the tens of thousands of adults with the condition who go missing across the country each year. It has been estimated that every year more than 40,000 people with dementia get lost for the first time. Around 800,000 people nationally have dementia and more than 15,000 of those are in Surrey*, where plans have been unveiled to test a device using a GPS system similar to those found in motorists’ sat navs. 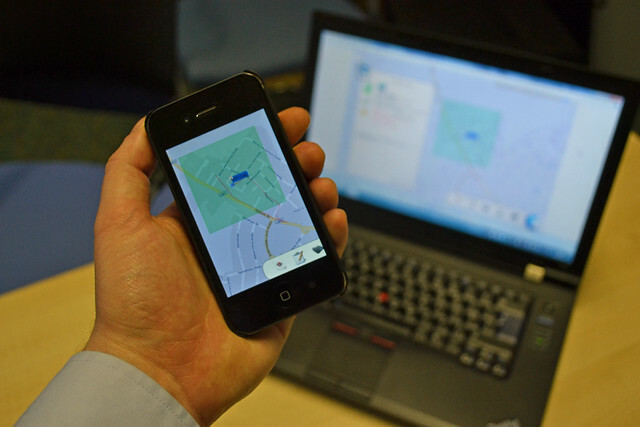 It allows a route by bus, train or on foot to be plotted and if the user strays, relatives immediately receive an alert on their smart phone or computer with a link to a Google map pinpointing the person’s location. Families can also be alerted if the person goes beyond a specified boundary and can receive text message updates at regular intervals. Surrey Telecare Service, which is made up of the county council and the 11 boroughs and districts, will give people with dementia the opportunity to test the device shortly. The trial was unveiled to coincide with national dementia awareness week. Surrey County Council’s Cabinet Member for Adult Social Care Mel Few said: “The county council is always ready to embrace innovation to improve care. “One of the most common concerns for families of those with dementia is that their loved ones often get lost after becoming confused and disoriented. 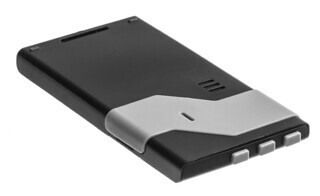 A battery, SIM card and an integrated chip help the device function and there is a USB connection for charging. It is made by Finnish company Navigil. For more information about the county council’s network of advice and information centres to help people spot the early signs of dementia visit the authority’s website. * That figure is set to rise to 19,000 by 2020.